This season is overflowing with covetable accessories. There’s a whole range of stunning jewelry styles — Lucite pieces, pearls, statement hoops — and shoes — kitten heel slingbacks, grandpa sneakers, Velcro kicks — vying to be the star of your summer look. 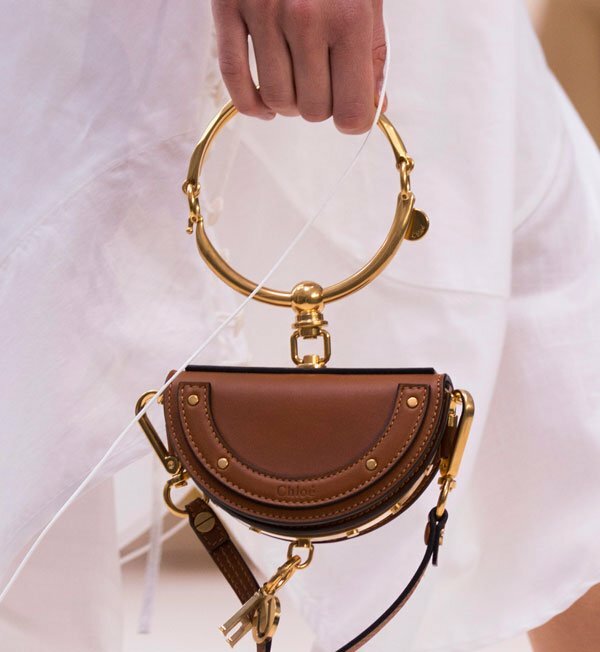 When it comes to bags, micro bags and fanny packs are still trending, thanks to their petite sizes and new layering options. Straw bags have become a surprising city staple and architectural bags are giving traditional shapes some competition. 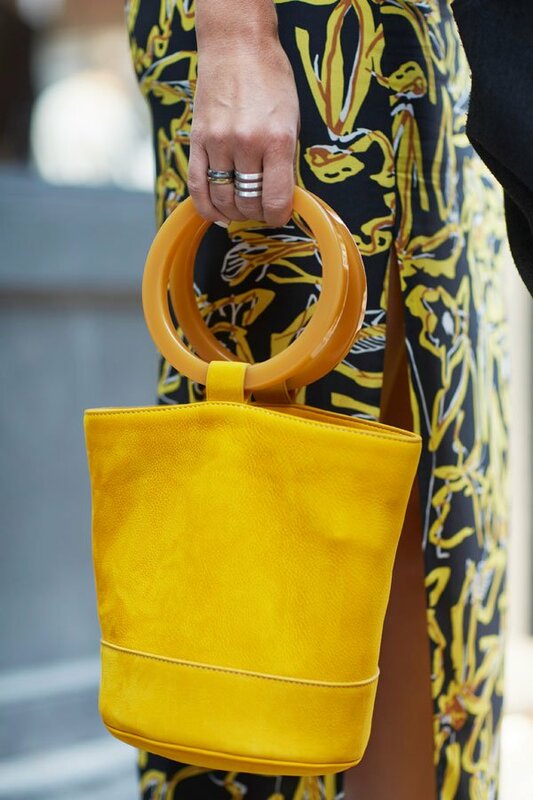 Many fashion insiders are forgoing straps entirely, opting to tote the season’s hot new trend: ring handle bags. It was on the runways that ring handle bags were first noticed with Chloe’s Nile bag getting a makeover for Spring 2017. The decorative ring was moved from the body to the top to function as a handle and major eye candy. For Spring 2018, more designers joined the ring handle brigade, including Kate Spade New York, Roksanda and Calvin Klein. The circular handles were the defining feature, but the size and shape of bags varied greatly with traditional rectangles, half-moons, fold-over styles and oblong shapes all being featured. If you need to go hands-free, most ring handles are large enough to slip over your elbow or even shoulder. Some options also come with removable shoulder straps for major versatility. Click through below for 18 ring handle bags you’ll want to carry with you everywhere this season.